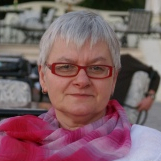 Elzbieta M. Gozdziak is the Director of Research at the Institute for the Study of International Migration (ISIM) and Editor of International Migration, a peer reviewed, scholarly journal devoted to research and policy analysis of contemporary issues affecting international migration. Formerly, she held a senior position with the Office of Refugee Resettlement (ORR) and the Substance Abuse and Mental Health Services Administration (SAMHSA) in the US Department of Health and Human Services. She taught at the Howard University's School of Social Work in the Social Work with Displaced Populations Program, and managed a program area on admissions and resettlement of refugees in industrialized countries for the Refugee Policy Group. Prior to immigrating to the US, she was an Associate Professor of Anthropology at the Adam Mickiewicz University in Poznan, Poland. Dr. Gozdziak's research interests include forced migration, immigrant integration, human trafficking, child labor, violence against women, religion and spirituality. Dr. Gozdziak teaches introduction to cultural anthropology, medical and applied anthropology classes, and a seminar on immigrant integration in North America and Europe as part of course offerings at the Department of Anthropology.